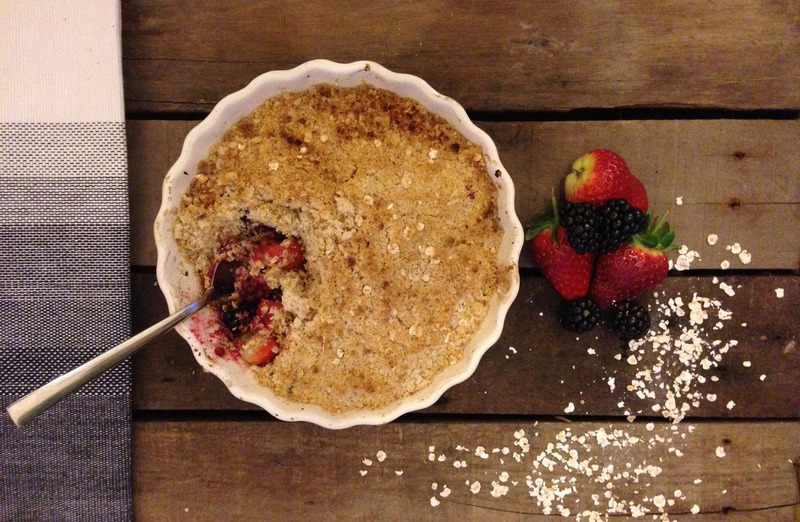 There is nothing better than beautifully British crumble and this lovely fruit-filled version is perfect for sunny afternoons in the garden. I prefer making an oaty crumble topping because it’s extra crunchy and adds a great texture. It’s best served hot with dollops of cream or custard. Preheat the oven to 220 degrees Celsius/gas mark 7/425 degrees Fahrenheit. Prepare the apple by peeling, coring and cutting it into bite-size chunks. Add the apples, strawberries and blackberries into an oven-proof dish and sprinkle over the caster sugar and lemon juice. In a separate mixing bowl, add the butter, demerera sugar and flour. Rub the ingredients together until they make a coarse mixture (don’t worry about making it too even). Then stir in the rolled oats and nutmeg. Sprinkle the topping over your fruit until it is all covered. Be sure not to pile it on too thick, or it will not cook right through. 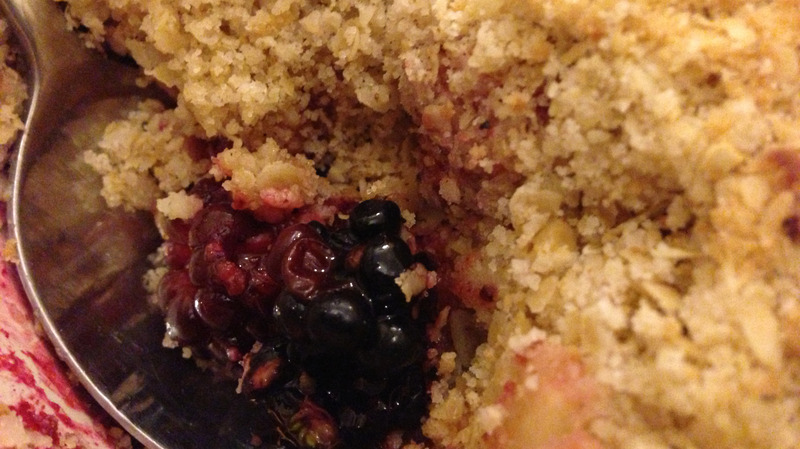 Put your crumble into the oven and leave to cook for 25-30 minutes, or until it is a crisp golden-brown on top.